Agate Click on the photos to see more views of the beads. Agate is part of the Chalcedony family. 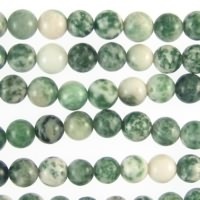 -Bamboo Leaf Agate ranges from almost white to pale yellows to golden browns. 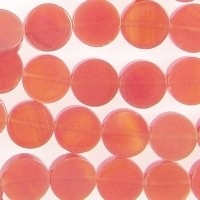 Some beads are transparent, while others are translucent. 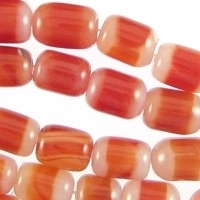 -Red Agate is a natural agate. Semi-transparent with shades of orange and red. 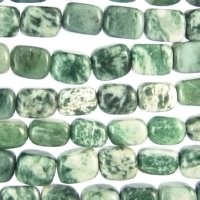 -Tree Agate is sometimes called Tree Jade or China Jade. 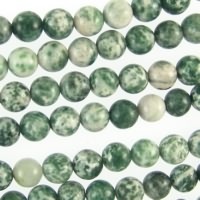 Tree Agate is green with white flecks. 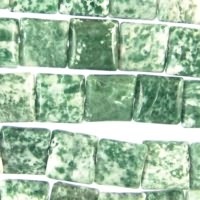 -Moss Agate is transparent to translucent green color. 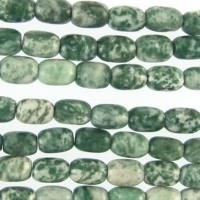 -Green Spot Agate is a mixture of green and white spots. 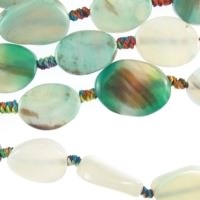 -Botswana Agate has beautiful shades of white, gray and golden browns and black. 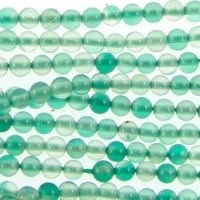 These gemstone beads have a very lovely luster. Approximate size: 6mm. 15-16 inch strand. Dyed. Average size: 2mm. Strand length approximately 15-16 inches. Average size: 10mm. Strand length approximately 15-16 inches. Average size: 13mm x 18mm. Strand length approximately 14-15 inches. AKA Crab Fire Agate. Average size: 10mm. Strand length approximately 15-16 inches. Average size: 8mm. Strand length approximately 15-16 inches. Average size: 6mm x 9mm. Strand length approximately 15-16 inches. Dyed agate. 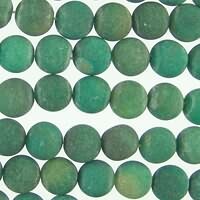 Average size: 16mm x 20mm. Strand length approximately 15-16 inches. Average size: 14mm. Strand length approximately 15-16 inches.